Thanks to the Gianneschi Fellowship Award, sponsored by Wells Fargo Bank, Tiffany Bowman ’18 (economics) will serve as marketing director for Tara’s Chance, an organization supporting equine-assisted therapies for the special-needs community. For nearly a decade, Tiffany Bowman has been committed to serving the Orange County community through volunteer activities with a number of philanthropic organizations. As the recipient of the 2018 annual Gianneschi Fellowship Award, the economics grad will utilize a $1,500 scholarship to fund her internship with Tara’s Chance, a Fullerton-based organization that utilizes therapeutic horseback riding to benefit those with physical and mental challenges. At Tara’s Chance, six therapy horses provide weekly 30-minute riding sessions for 32 special-needs children. The organization seeks to expand its program to offer accessible and affordable services to all local at-risk youth and residents with disabilities. 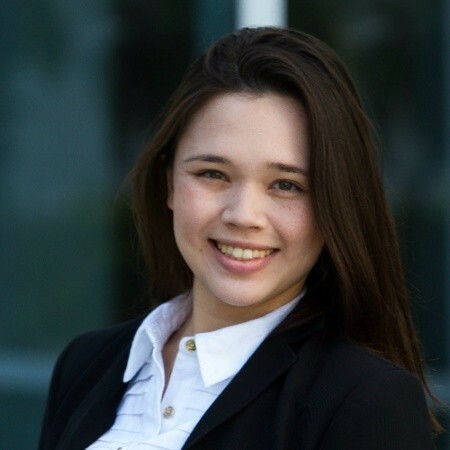 In her internship role as marketing director, Bowman plans to enhance the organization’s outreach to the business community, service clubs, philanthropists and nonprofits in North Orange County and surrounding areas. Her duties will include advertising, public relations, event organization, research and marketing campaigns. She will serve under the organization’s executive director Tim Howells. The fellowship award, which also includes a $1,000 stipend to the hosting nonprofit agency, is bestowed upon a student or recent graduate based on goals and prior experience in the philanthropic field and exemplary academic credentials. Bowman’s award will be officially bestowed at the Gianneschi Center’s G3X Conference at Cal State Fullerton campus on Aug. 14. As a student, Bowman was a leader in the Business Honors Program, where she served as executive director of internal engagement. In this position, she guided a team of 10 students to improve event planning on a limited budget. She also served the Business Inter-Club Council as vice president of public relations, where she coordinated the inaugural Mihaylo Mental Health Day, promoting mental health and well-being among one of the largest and most diverse college communities in the nation. Bowman was the recipient of the Boeing Scholarship, Nitori Scholarship and Business Honors Certificate of Academic Excellence. She has also been active in CSUF Rotaract, an on-campus club affiliated with Rotary International, and Girls Inc. of Orange County, which seeks to inspire and empower female youth. The Gianneschi Center supports the Southern California social profit sector through professional development of veterans and professionals as well as young people seeking to devote their careers to making a positive impact. For more information on the center, including their upcoming G3X Conference in August, visit the Gianneschi Center website.